Well, this year was a bit different from previous years, in several respects. First, I didn't go to Italy as I wasn't keen on being in the middle of jubilee chaos. Second, I didn't do any short term international volunteer workcamps, wanting to do some longer projects instead. Third, I actually took a holiday for the first time in many years! Fourth, instead of going away for months on end I returned to England in between projects. I also found a new passion. So ... here's how it went. I started off the year on the remote Fijian island of Yadua on a ten week Greenforce Coral Reef Biodiversity Survey expedition. The purpose of the expedition was to undertake a biodiversity survey of the coral reefs surrounding the adjacent island of Yaduataba. Yaduataba is the home of the rare crested iguana and is already a protected area. The Fijian government wants to extend the reserve to the marine areas surrounding the island and wants it to be declared a World Heritage Site. The survey expedition will provide the baseline data on the species present in the area so that future conservation efforts can monitor changes in the state of the habitats there. The expedition started with a few days in Suva, the Fijian capital, where we attended lectures at the National Trust of Fiji. We then made the 12 hour trip to Yadua, involving a bus ride, a long ferry trip, another bus ride and, finally, a two hour crossing to the island in local fishing boats. The first few weeks of the expedition were spent training the beginners, including myself, how to dive (up to BSAC Sports/PADI Advanced), going on practice fish identification dives, and teaching underwater survey techniques. The scientific part of the expedition then commenced and we did, typically, two dives per day each. We would either conduct visual fish identification surveys, noting the species present and enumerating individuals at 5 and 10 metres, or at 17 metres, or we would survey the types of coral present in 100m² quadrats. The marine habitats around Yaduataba are relatively pristine and unaffected by human activity, being why the Fijian government is keen on conserving the area. The stationary wildlife, the corals both hard and soft, fans, starfish, shellfish, etc provide a backdrop like one of the most beautiful gardens I've ever seen, and being able to float over, in, and out of it is a special experience indeed. Of course, there are also at least 350 tropical fish species known to inhabit these reefs including: soldiers, squirrels, groupers, cardinals, trevallys, snappers, fusiliers, sweetlips, emperors, butterflies, angels, damsels, wrasses, parrots, surgeons, rabbits, triggers, puffers, and many others. 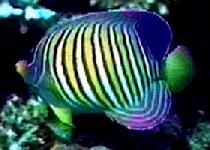 Also spotted were lionfish, various reef sharks, giant moray eels, and manta rays. Living conditions on the island were rather basic but comfortable. We lived in a couple of bures, locally built straw and palm frond huts, and there's a kitchen shelter for cooking. The food was, well...I was impressed by the meals we managed to make with so few basic ingredients! Shower facilities consisted of a bucket to be used in palm frond walled enclosures; the toilets were similarly enclosed pits, of which new ones needed to be dug every few weeks. During our phase we had the privilege of watching while locals built, in traditional style, a new open-sided bure for us for use as a dining area. Saturdays were spent doing recreational dives and sundays were a day of rest with people either doing nothing or visiting Denimanu (pop. ~150), the only village on Yadua, about a one hour walk from the base camp on the other side of the island. The friendliness, warmth and sense of community of the inhabitants of Denimanu demonstrated to me, once again, that the people on the planet who we in the "developed" countries consider materially poor are, in fact, the richer of us all. I hung around in Fiji for a week or two after the expedition finished, not doing much, just returning to good food and beer and lazing around at a small beachside hotel. I went back to England at the beginning of April and immediately booked myself for another couple of diving expeditions later in the year. Not wanting to wait that long before getting back under water I convinced a friend that diving was good fun and at the end of May went on a two week diving holiday at Sharm El Sheikh on the Egyptian side of the Gulf of Aqaba in the Red Sea. Close to the southernmost point of the Sinai peninsula Sharm, or more correctly Naama Bay, it must be said, is a bit of a strange place, although not unpleasantly so. It's a totally new and artificial town, consisting of hotels, restaurants, tourist shops and SCUBA diving centres. You don't really feel like you're in Egypt, or any country in particular for that matter. The old town of Sharm El Sheikh is some kilometres away from the tourist town and going there is like stepping into another country. 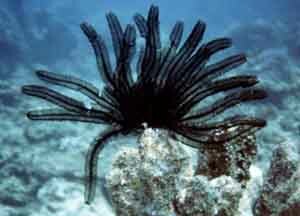 The Red Sea is bordered by fringing coral reefs with some impressive drops-offs, up to 700 metres in places. The reefs around Sharm El Sheikh are all protected and there is a marine national park called Ras Mohammed around the actual point of the Sinai peninsula at the meeting of the Gulf of Aqaba and the Gulf of Suez. The reefs in the area have been dived extensively and increasingly over the last decade and, according to local divers, this has had an effect on the reefs. All diving is done from large boats and even though I didn't go during peak season there were often dive boats lined up at the more popular sites. 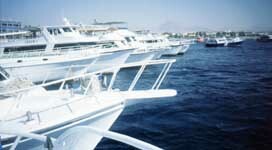 The number of boats per day at Ras Mohammed itself is restricted and boats have to book a time slot. When diving it wasn't unusual to see a group of divers ahead and another behind the group that I was diving with. If you like the "unexplored" feel then this part of the Red Sea is definitely not for you! Having said that, the visibility was the best I've seen anywhere, generally around 30 metres, and while the corals aren't that great, the fish are so used to seeing divers that you can get very close to just about everything. On three separate occasions I got within a metre or two of turtles feeding and they didn't seem to care at all that I, and half a dozen other divers, were there. While I was there I also took a day trip to St. Catherine's monastery, the oldest Christian monastery in continual use. It is built around the burning bush from which, it is said, God spoke to Moses. The bush is still there and looks like a somewhat overgrown bramble! I returned to England for a week or so and then went off to Jordan to join the six-week American Expedition to Petra excavating the Temple of the Winged Lions at that famous classical city. Petra is variously known as the rose-red city, due to the colour of the rock, or the canyon city, as a lot of the buildings and tombs are carved into the sides of a long thin canyon. People that saw the film Indiana Jones and the Last Crusade will recognise the Siq opening up onto the building known as the Khasneh (Treasury). Petra was one of the major cities in the middle east during the 1st to 4th centuries A.D. Occupied by a people called the Nabateans, Petra was taken into the Roman Empire by Trajan in 106 A.D. Estimated to have had a population of 20,000 it was an important source of luxury goods, in particular perfumes and poisons! It is reckoned at its peak, due to the high value goods it traded, to have been responsible for 20% of the GDP of the Roman Empire. Petra was largely destroyed by an earthquake in 361 A.D., although it later became an important site for Byzantine Christianity as the local water source, Wadi Musa (Moses' spring) is supposed to have originated when Moses struck the ground with his staff. Also the tomb of Moses' brother, Aaron, is on top of a local mountain. The excavation of the Temple of the Winged Lions was started in 1974. Excavating from 6am to midday to avoid the afternoon heat, we unearthed a couple of rooms at the back of the temple and an area at the front. Afternoons were spent processing finds. We found endless amounts of broken pottery and numerous other artifacts. One of the more unusual finds was a 1,639 year old lunch box! Sitting in a niche we found a couple of pots with animal bones and a chicken egg inside, almost intact. This meal was obviously placed somewhere safe for later consumption just before the earthquake. Other finds included several complete pots, bowls and jars, along with quite a few pottery pieces that we managed to reconstruct into plates and vases, etc. We found several coins, both Nabatean and Roman, quite a few sea shells and several architectural pieces such as parts of columns. Also found were a bone hairpin and a couple of fragments of pottery animal figurines, including one of an ibex. 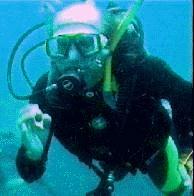 We had a long weekend off in the middle of the expedition, so I went down to Aqaba and, guess what?, did some diving! I returned to England for a few days and then went to the small village of Campinho in the Alentejo region of Portugal for seven weeks during August and September to participate in the Alqueva Dam Project, the rescue excavations of megalithic funerary monuments from the late-neolithic and chalcolithic periods (circa 5,000 years ago). Portugal is in the process of building the Alqueva dam. This will create Europe's largest artificial lake inundating some 250 square kilometres. Amongst the many historical structures that will be submerged are several hundred Antas (dolmens). These are prehistoric tombs made of a circle of large rocks placed on end with an entrance corridor on one side. The structures were often bermed and always had a roof. In order to save at least the information about these monuments there has been a large scale rescue archaeology project to excavate and record all that can be discovered about these structures. The project team that I was working with excavated three antas at two separate locations. Mapping, drawing and recording stratigraphic profiles was an important part of this excavation. Finds were limited and no bones were unearthed, probably due to the acidic nature of the soil. The finds that were uncovered during my stay included a stone chisel, two flint blades, a slate bead and a slate funerary plaque, as well as several quartz cutting tools. Four stone axe heads and some pieces of primitive pottery had been found prior to my arrival. Also found, by myself, were two green stone beads, probably from a necklace. While I was in the region I took the opportunity to visit a couple of local towns. Evora is very pretty, most of it dating from the renaissance period, although it has some Roman remains in the centre. Monsaraz is worth visiting too, being a fortified medieval hill top town. I, once again, went back to England for a couple of weeks and then, during October to December, I joined the fourth phase of the Frontier Marine Research Expedition near Anakao in south western Madagascar. The purpose of the expedition was to survey the marine life in that area. We arrived in the capital, Antananarivo, and got straight onto minibuses for the two day journey down to Toliara, the nearest large town to the base camp. The final leg to the camp itself was done by boat. The base camp was a little luxurious by expedition standard, being a disused backpackers' hotel consisting of a main building and several sleeping huts. We even had a regular western toilet, although we had to flush it with buckets of sea water and there were no showers, bathing being done in the Indian ocean. The food during the camp was basically beans and rice for about ten meals a week, although we did occasionally get some fish. Near the base camp are two islands, Nosy Ve and Nosy Satrana. Nosy Ve is a reserve, being the only breeding ground in Madagascar for the Red-tailed tropic bird. An area of the coral reef around Nosy Ve, named the Aquarium, has been declared a protected area by the local communities and is hence off-limits for fishing. The work consisted of several different types of survey. In the water we surveyed commercial fish, indicator species, invertebrates and habitat. The commercial fish survey tallies the number and sizes of twenty families of fish that are used for human consumption. The indicator species surveys counted the numbers of about eighty species of fish whose presence indicates the health of the reef. 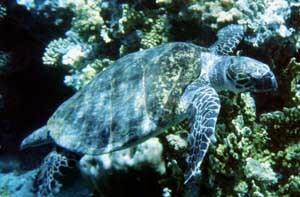 The invertebrates survey counts the mobile animals living on the reef, e.g. lobsters, shells, etc. 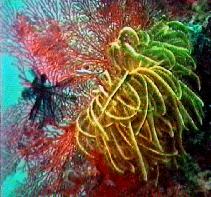 The habitats survey examines the reef itself, looking at the cover of different types of coral etc. Out of the water there were several projects to keep us busy. Fisheries surveys consisted of visiting the local fishing village and recording the catch, and the "baywatch" project entailed observing and recording the commercial activity in the local bay. We also went on a satellite camp to the local mangroves. Myself, I was put on a special project. As I was already familiar with most of the fish species I had the task of trying to come up with a complete species list of fish in the area. During our stay I recorded 176 species of fish in the water, plus a few more from fisheries work. I'm off to Tanzania for the first three months of the year, doing another marine research expedition with Frontier. I'm also going to visit a reforestation project there on behalf of Plant A Tree In Africa who I worked for before in Ghana. I'm sure while I'm in Tanzania I'll also take a look at some of the terrestrial wildlife. I've got no plans, as yet, for after that until October when I'll be joining the first phase of a Greenforce coral reef biodiversity survey in the Bahamas. As always, I hope I'll meet some of you during my travels.